Before getting involved in an investment or before going into a new investment, one should first conduct an investment analysis. 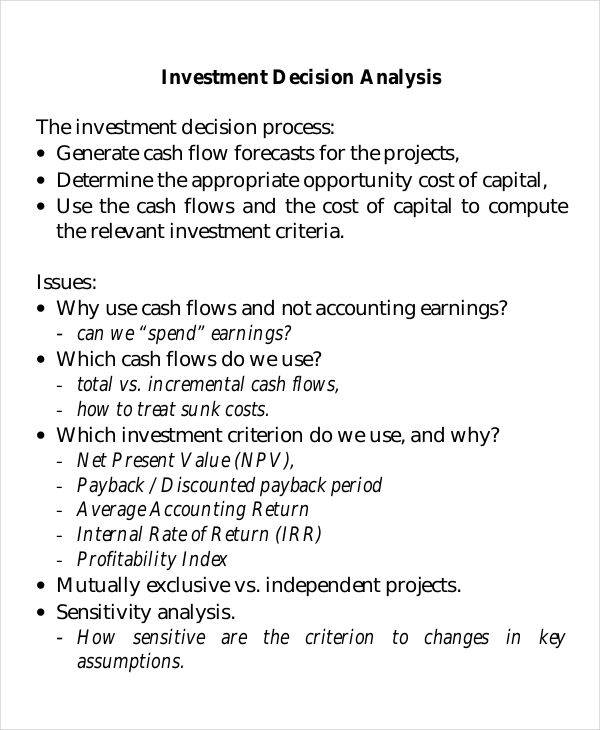 Writing an analysis about an investment is done by a professional who has in-depth knowledge about the topic. It would be similar to conducting a research where important information is gathered to prove something. A business analysis is conducted to determine the needs and problems of a business and find the perfect solution to fix the problem. And that works almost similar to an investment analysis. 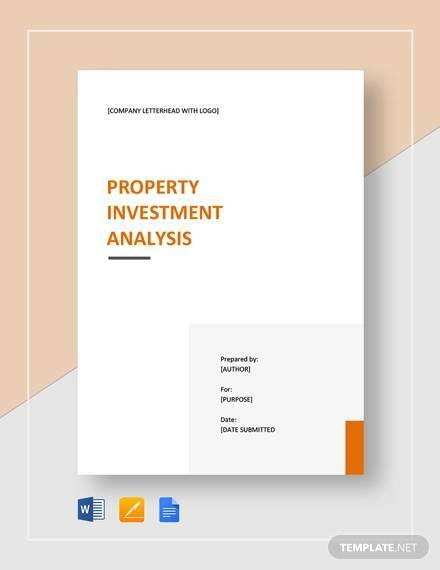 We have included in this analysis 8+ investment analysis templates that will definitely help you with your investment analysis needs. An analysis is done to make an evaluation of something or to know the structure of something through research. 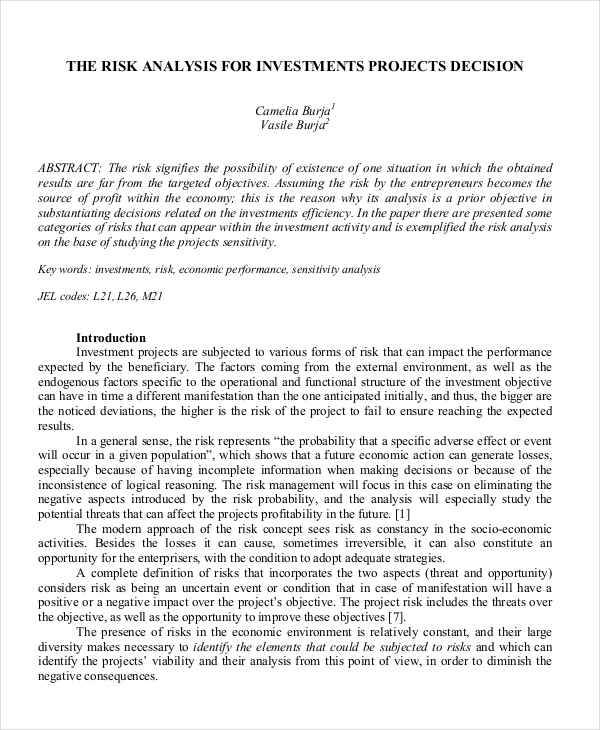 So when you say investment analysis, it means that an investment is being evaluated or assessed based on its risks, probability, and how it is a fit for a specific portfolio. There are also factors that need to be considered when it comes to investments. These factors are the investment risks, cash flow, and the resale value. If an investments risks is too great, then the investment is worth nothing. 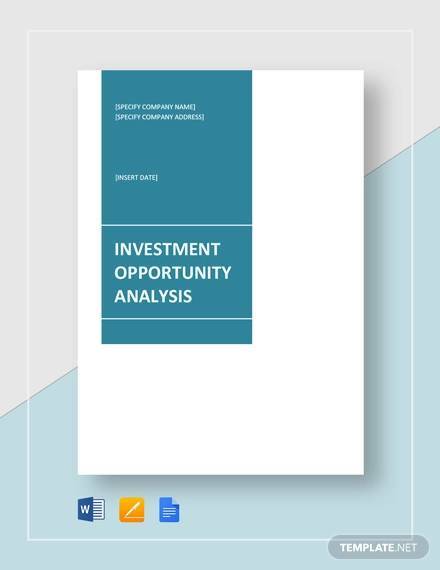 We also have gap analysis samples. 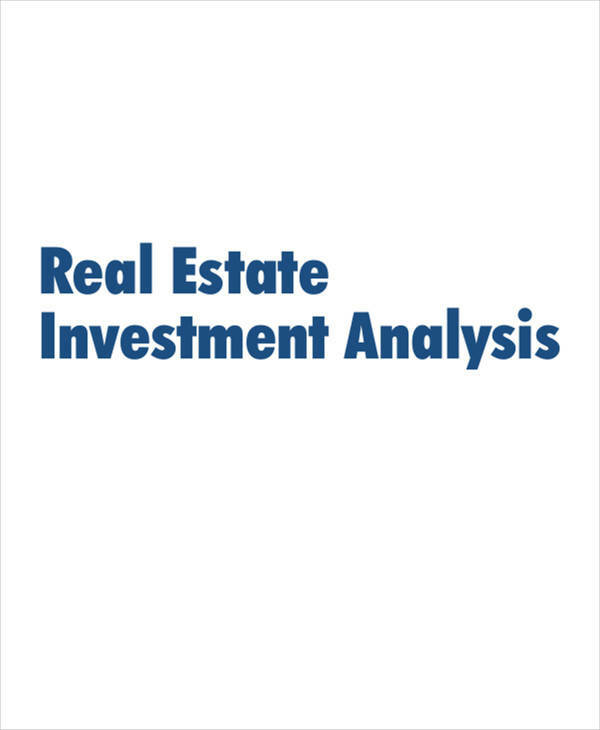 Determine the investment that you would like to do an analysis about. Conduct your research thoroughly, widely, and deeply. Consult professionals on the matter. 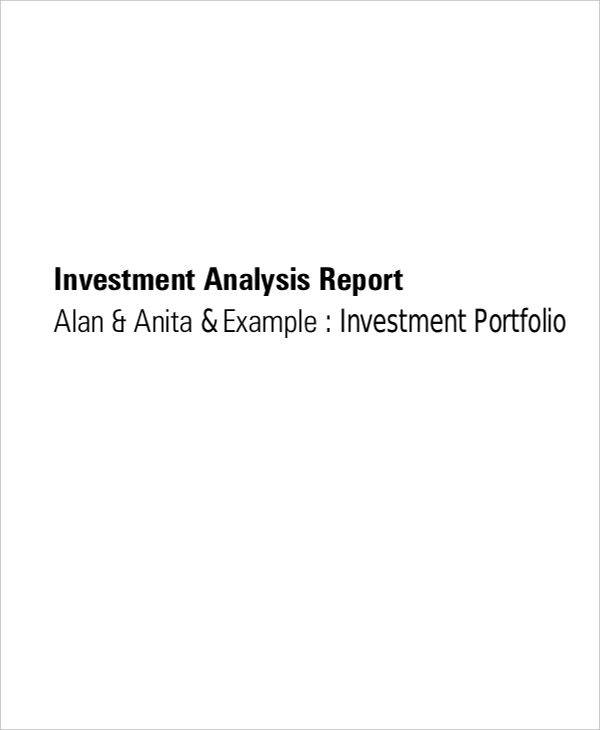 Get feedback from other investors about the said investment, reference other analysis examples, and determine which information are useful to your analysis. Carefully lay out your draft after making research and further investigation. Add notes and references about where the sources of your information. Be detailed, but also be straight to the point. Always provide killer details in your investment analysis. 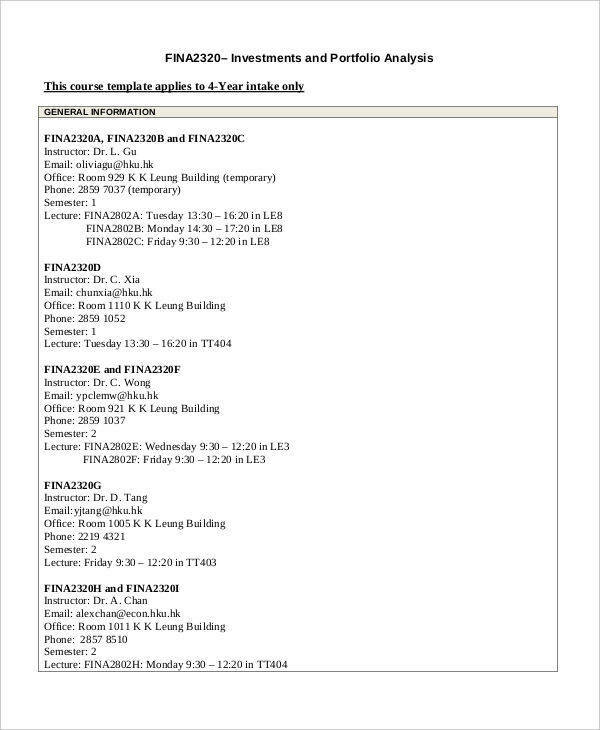 Finalize your work and study it thoroughly. Have it spell-checked and proofread to avoid any spelling and grammar errors. 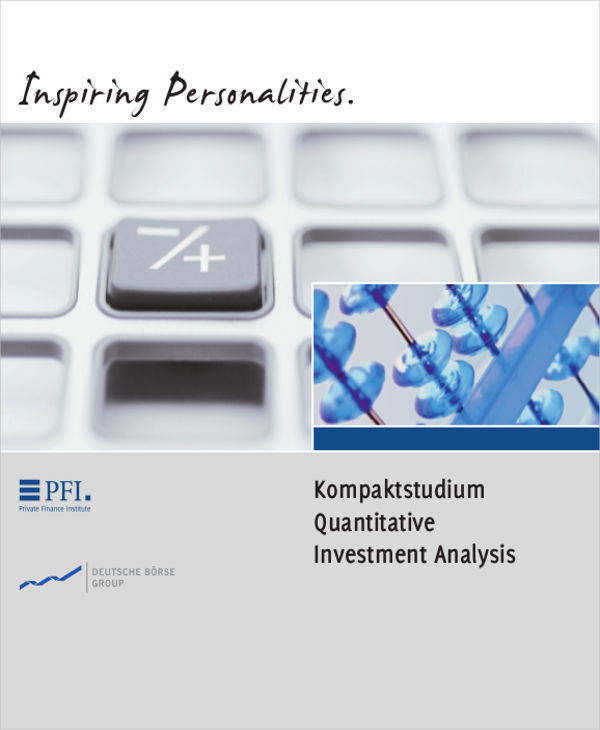 What Are the Benefits of Investment Analysis? An investment analysis can help investors and prospective investors in a lot of ways. 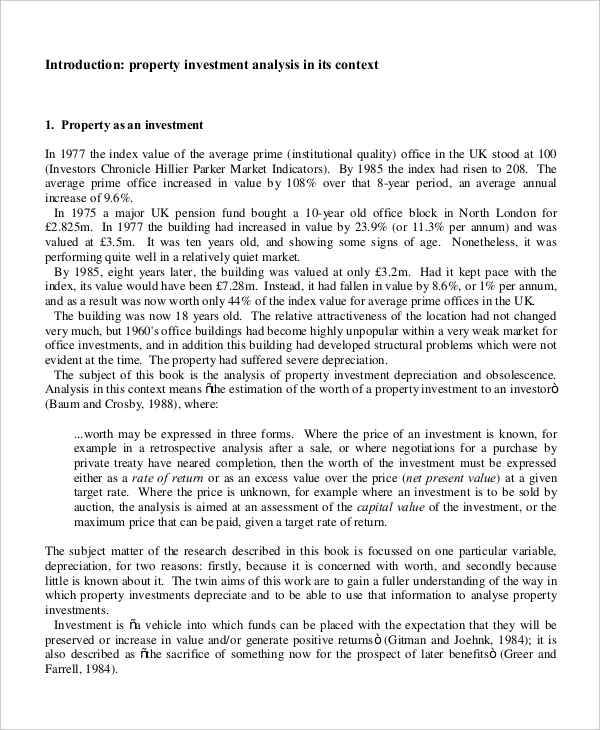 Because it is research or an assessment done to evaluate a specific investment, it can help investors decide whether the said investment is good or not. 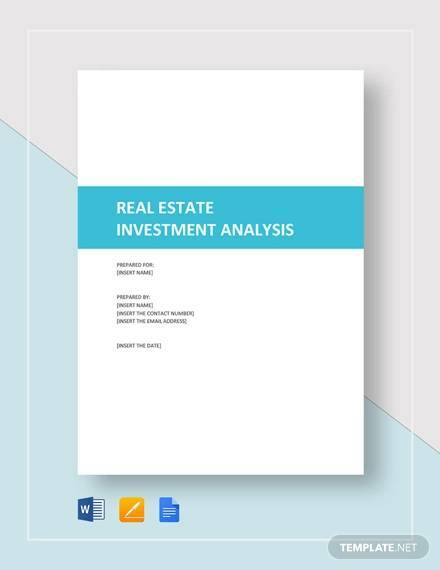 An investment analysis report provides information that which is related to or has something to do with the future. 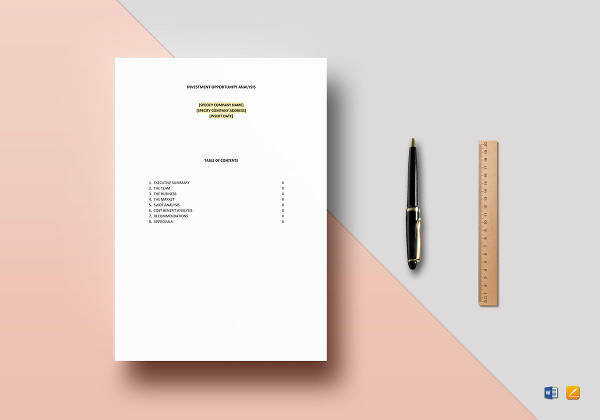 They are also documents that provide concise, precise, reliable, and timely information about a specific investment, like a real property. In an investment analysis, a company’s or organization’s obligations are confirmed. 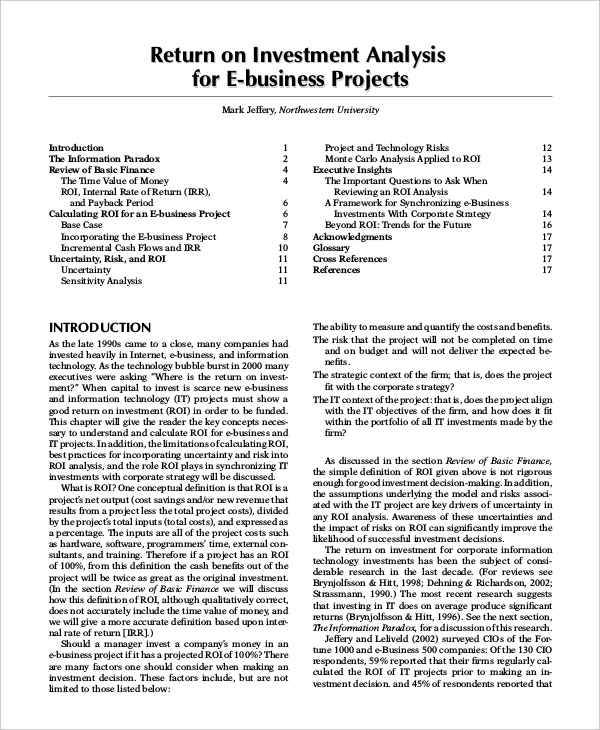 It can also provide details about the performance of the said investment or business. 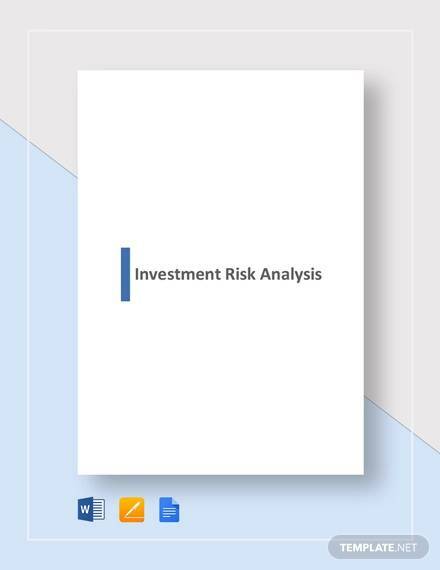 Through an investment analysis, the risk factors of an investment is determined. Knowing how great the risk factor of an investment helps one analyze if it is worth anything. It also provides information about the cash flow that an investment could bring. Through the help of an investment analysis, an investor is able to make comparisons about the funds, expense ratio, performance, management stability, etc. It can help an investor meet their investment goals through the information gathered by an investment analysis. 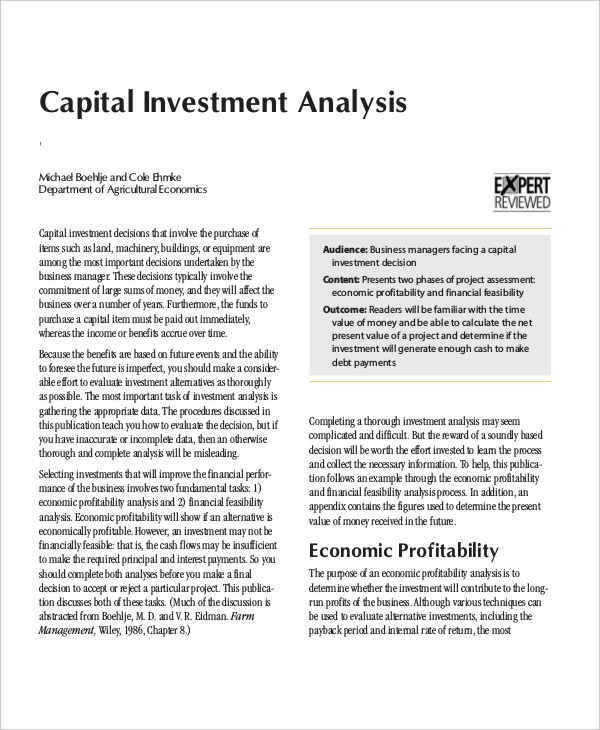 You can also check our case analysis samples and analysis templates.